Tenants have a number of rights given to them by law, including: Right to Habitable Premises, Right to Privacy, Right to Quiet Enjoyment, Right to be Free from Discrimination, and Right to Your Security Deposit. “The lessor of a building intended for the occupation of human beings must, in the absence of an agreement to the contrary, put it into a condition fit for such occupation, and repair all subsequent dilapidations thereof, which render it untenantable…” California civil Code section 1941. This means that each tenant has a right to live in a place that is “tenantable” (fit for human occupation). If you’re living in an untenantable place, you must give the landlord notice. If, after a reasonable amount of time, the necessary repairs have not been made, the tenant has a number of options: (1) do nothing (not advisable), (2) make the repairs and take the cost of the repairs out against rent owed (not to exceed one month’s rent), or (3) move out. No matter what you choose, a tenant seeking any of these remedies should consult with an attorney first. This is to make sure you are not exposing yourself to additional damages and liability. (D) You do not have to be home when they come, but the landlord is liable for anything stolen or broken. (F) The notice MUST be written [not oral or e-mail], except if a WRITTEN notice has already been submitted that realtors will be showing the property, then only an oral 24 hour notice is necessary. (G) The right of entry can’t be “abused”. “An agreement to let upon hire binds the letter to secure to the hirer the quiet possession of the thing hired during the term of the hiring, against all persons lawfully claiming the same.” Civil Code section 1927. 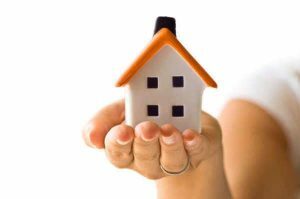 This means that while you are a tenant in your dwelling, the landlord must protect you from others who claim to have a legal right to your dwelling. It also means that no one within the landlord’s control can interfere with your possession of the premises. When a tenant moves into a new dwelling, the tenant typically pays a security deposit. By law, that security deposit can be no more than two months rent if the dwelling is unfurnished or three months rent if the dwelling is furnished. Within 21 days after the tenant vacates the premises (surrendering keys as well), the landlord must: return the security deposit in whole, return a portion of the security deposit plus an itemized statement of the deductions, or an itemized statement of deductions.